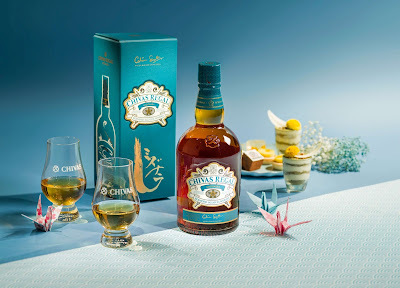 Chivas Mizunara offers an intriguing mirror image to many whiskies made in Japan maturing in American or European oak casks. 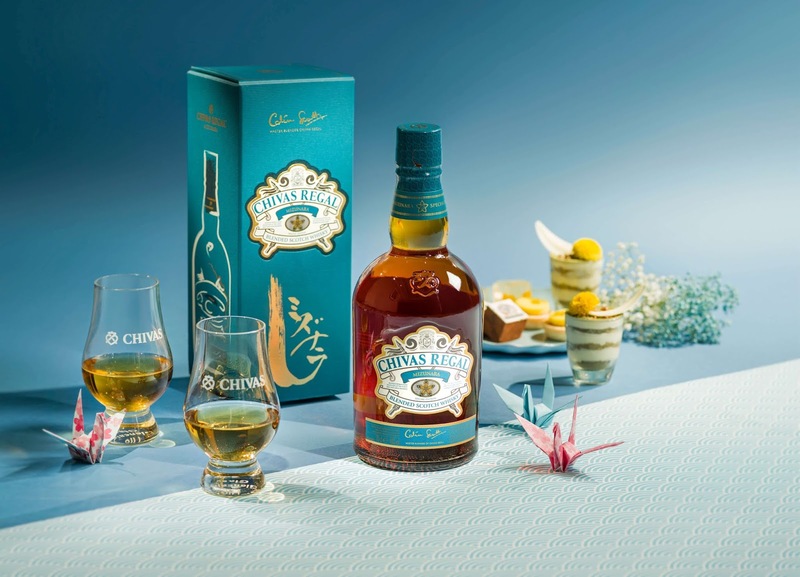 Made entirely in Scotland, it develops depth in a barrel of Mizunara oak, a rare variety native to Hokkaido, with a rich content of vanillin, the primary component which constitutes vanilla’s fragrance. As a complement to the Mizunara oak, the food selections of the afternoon tea are also driven by a crossover of Japanese and Western influences. A cross-cultural appeal similar to the whisky appears in the sumptuous teriyaki eel, served like a burger with a squid ink bun. Classic favorite tamagoyaki comes with spinach for an enrichment of texture, while succulent cod is baked in a Chivas-infused miso paste highlighting the fish’s freshness. The fried rice ball boasts wonderful umami, stuffed with Japanese shiitake mushrooms and cottage cheese, topped with seaweed. 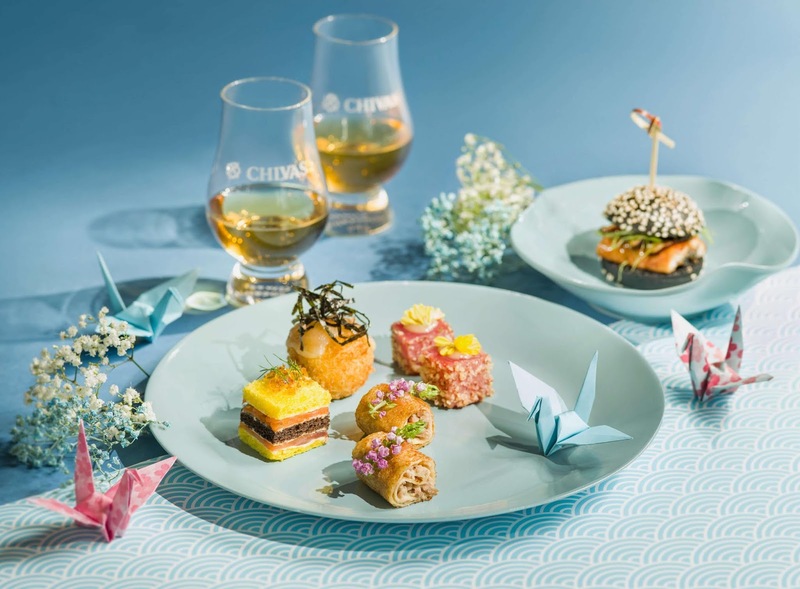 Other highlights include mini-sandwich filled with salmon (brushed with whisky before smoking) and whisky jelly, as well as hazelnut-crusted tuna tataki, orange-glazed duck breast pancake roll and homemade scones. The array of desserts perfectly reinterprets the whisky’s flavor profile. The orange and honey cheesecake is an immediate standout for the high summer with its exhilarating citrus taste. The fruity kanten jelly is similarly blended with pear and yuzu. 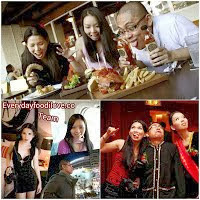 Its flavor further benefits from a touch of Chivas. The hazelnut brûlée tart models itself after the deeper, earthier notes of the liquor. Also not to be missed is the matcha tiramisu, whose sweet cream finds balance from the tea powder’s sophisticated aroma. The ensemble completes with Japanese specialty “Nama Chocolate” enhanced by Chivas, as notes of dark chocolate and whisky provide lingering aftertaste. 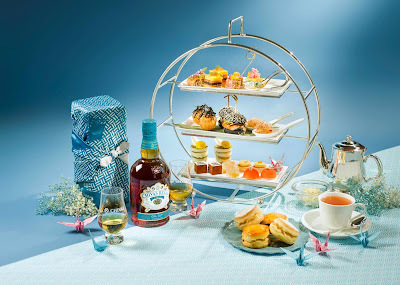 Served between 1 August and 30 September, the Chivas Mizunara afternoon tea will be available for HK$318* per head or Hk$518* as a serving for two. 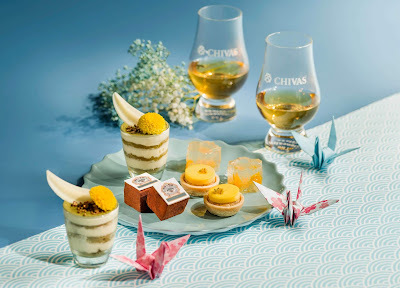 Diners can choose among coffee, tea, mocktail or the special cocktail ‘Zen’ based with Chivas Mizunara whisky. The whisky’s original characters – notes of pear and orange, followed by traces of honey and hazelnut – provide harmony to yuzu, Cointreau and homemade Japanese Sencha tea syrup in this icy cooler. At the end of the service, guests will also take away a Mizunara scarf as a gift^ (with limited availability and per set for two). A line-up of whisky cocktails can also be ordered by glass separately at Lobby Lounge, Garden Café and Pacific Bar during the promotion period.